It’s two o’clock in the morning, and a pipe bursts in your home. A few minutes ago you were sleeping soundly, and now you are wide awake and dealing with a stressful situation. This is not the kind of problem that can wait until the morning. You have to handle it now or risk further damage to your home. Who do you call when you have an emergency plumbing situation at two o’clock in the morning? Call Serclean! With over 25 years of experience in remediating emergencies like this, we know how to handle your emergency plumbing situation. We are here to help when a plumbing problem bursts into your life and threatens to ruin your day. Through state-of-the-art practices, resources and experience along with exceptional care, You can count on Serclean to be there for you. We believe that honesty and integrity should be part of the package deal when you hire us to handle your emergency plumbing issue, and we will work hard to completely satisfy you with our service. Along with providing you with outstanding customer service and satisfaction, we also take pride in our affordable prices. While other plumbing companies may charge you a premium for emergency plumbing work during off hours, we try to keep our prices affordable and fair. We understand how stressful an emergency plumbing situation can be, and we don’t want to make this situation any harder on you than it already is. 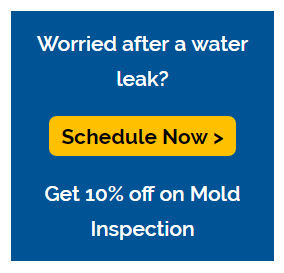 From cracked pipes to potentially catastrophic leaks, we can fix your plumbing issue at a price that won’t break the bank. We can often work with your insurance company to get things resolved without a huge out-of-pocket expense. From emergency sump pump replacement to an emergency leak repair, our plumbing company has been helping people out of emergency plumbing situations for nearly a decade. Combine that with our 25 years of plumbing experience and affordable prices, you can be assured that we are serious about our great customer service and getting you back on track as quickly as possible. Even in the early morning hours, we will be there to provide you with great plumbing service you can trust. We take enormous pride in our work, and we want to completely amaze you with our service. Our customers are our number one priority, and that is why we work hard to satisfy. Water extraction for home,school & business- What we do AFTER the leak has been repaired is as important as stopping the flood. Moisture testing & infrared imaging- don’t let mold or water damage lead to further problems later. Industry leading drying equipment- bulk air movers and dehumidifiers can speed up the drying process. Slab leak detection services- you may suspect you have a leak but it’s not accessible. We can help. We also offer Bacteria testing and cleaning and Sewage backup cleaning. When it’s two o’clock in the morning and an emergency plumbing problem has woken you up, you need to call the friendly and helpful folks at our plumbing company. Through our excellent craftsmanship and courteous customer service, we are confident that you will be happy when you contact us to handle your emergency plumbing problem. Day or night, we are in the business of using our knowledge and experience to please our customers. We never skimp on our work, and we always offer our services at affordable prices.For more information about our emergency plumbing services, please contact us today. We understand how stressful it can be to deal with a broken pipe or inoperative sump pump, and we want to make the situation easy to deal with. For outstanding service and satisfaction, contact us when you need emergency plumbing help.